- Divide by 10 the number of needed charging spots and total TCO. - Handle and Organize Electric Vehicle car fleet Charging. - Handle energy sharing across time, priority and available resources. 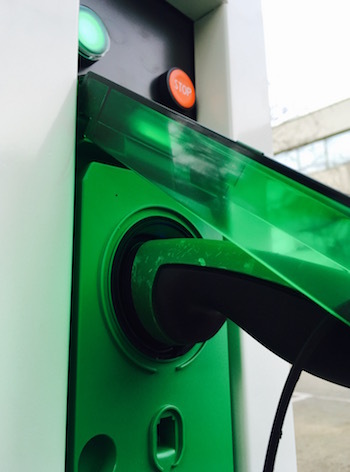 - Assist Electric Vehicle Users to find a free charging spot and charge their car. - Assist Car fleet administrator for cost calculation and maintenance. - Educates the users for best practices by displaying statistics. -	Dashboard: Real time status, availability, instantaneous delivered power. -	User view: history, charging curve, total spent energy, time and price. -	User Administration: manage users for access, roles, password and personal data. - Charger Administration: Setup remotely all the parameters ex: max delivered power. -	Debug Administration: Intuitive log management and debug information. - Statistics: User Statistics per charger and time, Usage statistics per charger and time. - User Notifications: Start and End of Charge, SOC, Total Consumption. -	Security: Role management (Admin, User, Demo), HTTPS, WSS and GDPR enabled. -	Protocol: International OCPP 1.5 et 1.6 compatible. OCPP2.0 on going. -	The dashboard can be easily replicated into independent dashboard Cloud name-spaces. -	E-Roaming / OCPI 2.1 Gireve Certified. -	Booking of Chargers on the Fly. -	Global Supervision of the Grid: Chargers, Buildings and Solar Panels. -	User Profiling and and Smart resources sharing (machine learning). -	Predictive demand of Energy (Big Data). -	Application deployment on promises or in any Cloud platforms. -	IT operations on Central Server. -	Charger Setup and commissioning. Prerequisites for our software deployment: chargers should be Internet connected for cloud solution, or on the local network with an Internet connected central server for on-premises solution. Charger physical connexion: RJ45 or Fiber, wireless: 3G or Wifi (Zigbee, bluetooth, LoRa ou Sygfox not recommended regarding performances).